Yep, it’s finally here! Are you? If not, you should be! You don’t want to miss a day of the 6th annual Breck Bike Week, centered around the US Pro Cycling Challenge, a professional road bike race that culminates on August 22nd after a grueling 11,500 foot climb up Hoosier Pass in Breckenridge. Breck Bike Week will include high-end bike demos, guided group rides, trail building, lectures, clinics, free bike tunes, kids’ races and more. 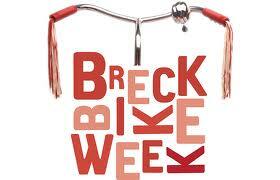 The bonus is that most Breck Bike Week activities are FREE and open to everyone. In addition, this week will showcase the town’s history as well as shopping, dining, lodging, other unique activities and temperate summer weather. 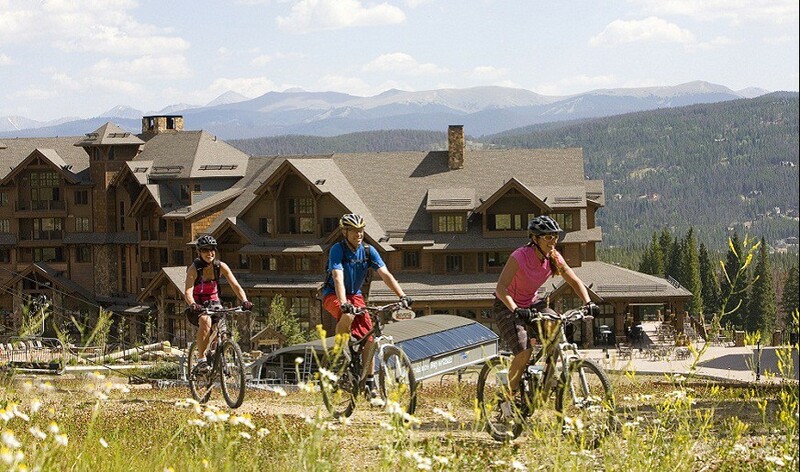 August is Bicycling Month in Breckenridge, so if you love bicycling, this is the place to be, as the League of American Bicyclists recently named Breckenridge a silver level Bicycle Friendly Community. 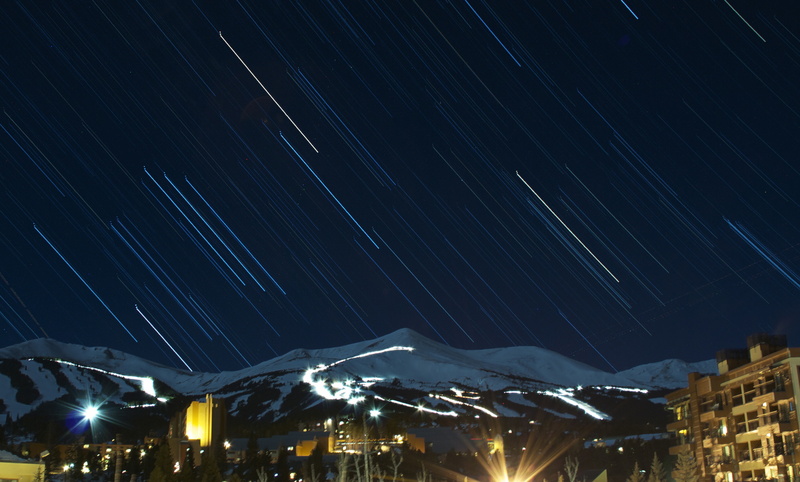 Bike Week is just one week of an ongoing celebration of beauty and challenge, as bikers of all levels explore the backcountry around Breckenridge, enjoying an extensive, interconnected trail system that can be accessed from just about anywhere in town. The trails connect across hundreds of miles of great riding in Summit County, with trail levels for bikers of all skill levels. 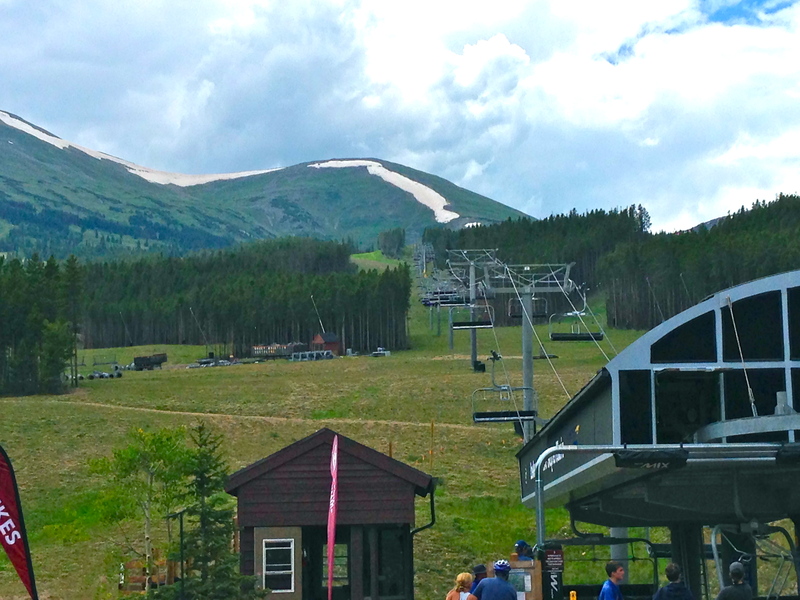 At Grand Lodge on Peak 7, a luxury fractional real estate resort that sits at the base of Peak 7, all you have to do is walk out onto the slope, put your bike onto the rack attached to the high speed quad chairlift, and take a ride up the mountain. But the best part is coming down, choosing a trail just right for your skill level, and reveling in the incredible views as well as the thrill of the trail. 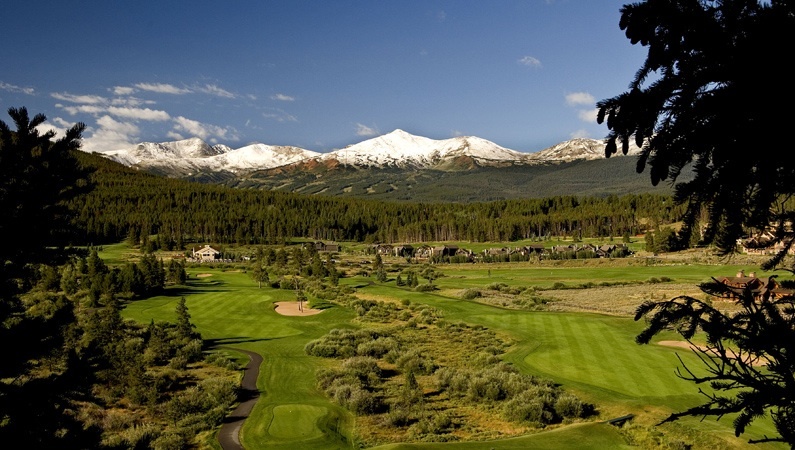 Because we know you will fall in love with Breckenridge and want to make it your second home, you need to book an appointment with Brent Henry, Senior Broker, to view the few remaining ski in, ski out luxury condos available at the base of Peak 7. Grand Lodge on Peak 7 is a skier/boarder’s dream – casual luxury, world-class amenities, and fractional ownership opportunities so you can enjoy your home away from home at a fraction of the cost of whole home ownership. This world-class resort is almost completely sold out – steps away from the lifts, heated ski locker rooms, ski shop on premises, outdoor salt water whirlpools and pools, indoor sauna, steam room, salt water whirlpool and pool, full spa services including sports and deep tissue massage, fitness room, theatre, restaurants, bar, and studio – four bedroom fully furnished/equipped luxury condos. A few of these fractional real estate luxury condos are still available with a slopeside view, but they won’t last long, and neither will the most optimal ski weeks, so this is really crunch time if you want to own a luxury condo at the base of Peak 7 – some of the best ski vacation property available in Breckenridge and all of Summit County. To view special offers on remaining property, fill out the form below or call Brent Henry, Senior Sales Broker.